← Big brother Cary hustling to Phog to properly fix the door that has been breaking for YEARS. Grateful. A bombastic book launch is scheduled for Windsor author, Alexander Zelenyj. Songs For The Lost will be released publicly at Phog Lounge with more than the reading and book sale itself. Bolus (Liam O’Donnell and Pat Petro), Benny Dreadful and The Deathray Bradburys will perform at what will be the most music-infused literary event Phog has ever held! We should be overtly proud of this literary achievement by one of Windsor’s own. 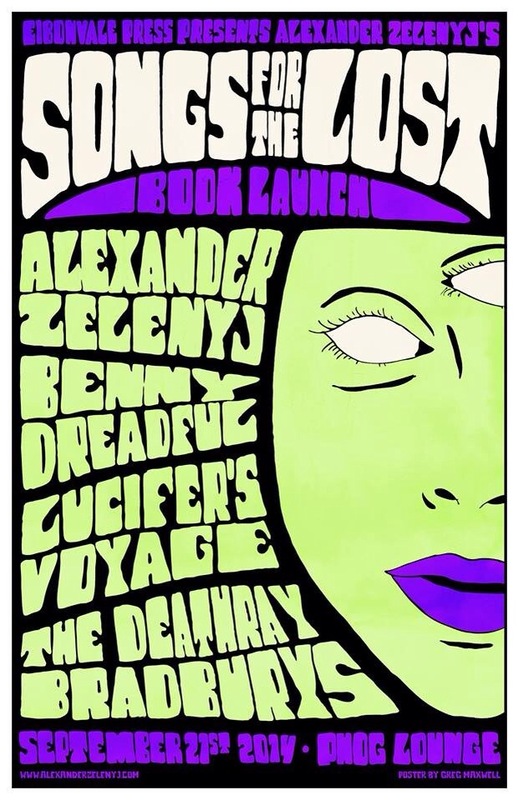 Come celebrate and get a copy of the new 512-page short fiction collection, Songs For The Lost, and its 72-page companion volume, Ballads To The Burning Twins: The Complete Song Lyrics Of The Deathray Bradburys.